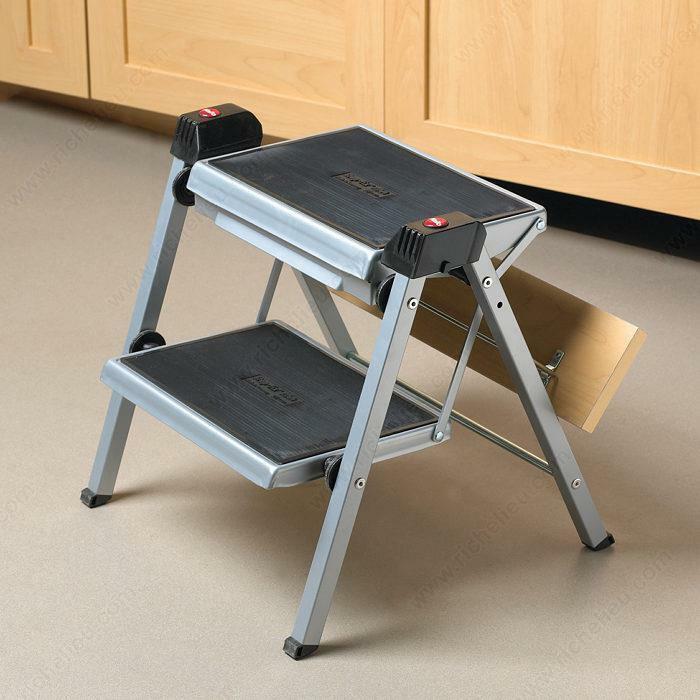 Folding Step Stool. Closed dimensions: W: 15-15/16", D: 3-3/4", H: 18-1/4". Product number 4412100. Finish Grey.